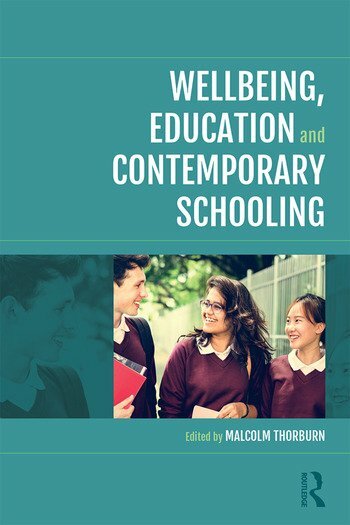 Wellbeing, Education and Contemporary Schooling examines the role of wellbeing in schools and argues that it should be integral to core policy objectives in health and education. The whole school focus chosen is conducive to the review of wellbeing in schools, and assists in better understanding the complex relationships between learners and teachers in policy contexts, where every teacher has a responsibility for learners’ wellbeing. By exploring a range of debates about the nature of wellbeing, the book shows how a child’s wellbeing is inseparable from their overall capacity to learn and achieve, and to become confident, self-assured and active citizens. Drawing on international curriculum developments, it considers the ways in which wellbeing could reshape educational aims in areas such as outdoor learning and aesthetic imagination, helping to inform programmes of professional learning for teachers. a personal perspective on wellbeing. Examining ways in which wellbeing can become a central component of the ethos, culture and environment of contemporary schools, Wellbeing, Education and Contemporary Schooling is an invaluable guide for all students, teachers, researchers and policy makers with an interest in learning, teaching and children’s wellbeing. 1. Wellbeing, being well or well becoming: who or what is it for and how might we get there? 13. A personal perspective on wellbeing: Lessons learned or insufficiently grasped? Malcolm Thorburn is Lecturer in Physical Education at the Moray House School of Education, University of Edinburgh, UK.